DLB Construction SE Ltd - Builder, Plasterer based in Bluemans Lane, East Sussex. 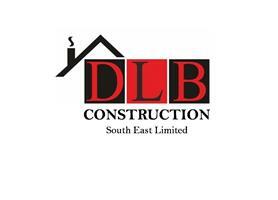 Welcome to DLB Construction SE Limited. We are a family run business with many years of experience in the building trade. Much of our work comes through recommendation from happy/repeat customers and businesses needing reliable and confident tradesman. We are perfectionists and have a solid team of experienced tradesman with the same work ethic. We are proud to show some of the projects we have completed in our gallery from extensions and conversions to swimming pools and everything in between. With full insurance and a fleet of vans we run a very reliable and honest business. We provide a quick service for free quotes and advice, competitive prices and we are always happy to help! Contact us for your free quote today on 01424 532910.